What did I miss on this list? Comment below and let me know! >> Interested in learning more about my Holistic Business Coaching Program? Click here to read all about it! Jenna Kutchers podcasts are quick and dirty tips for creating a thriving online business! 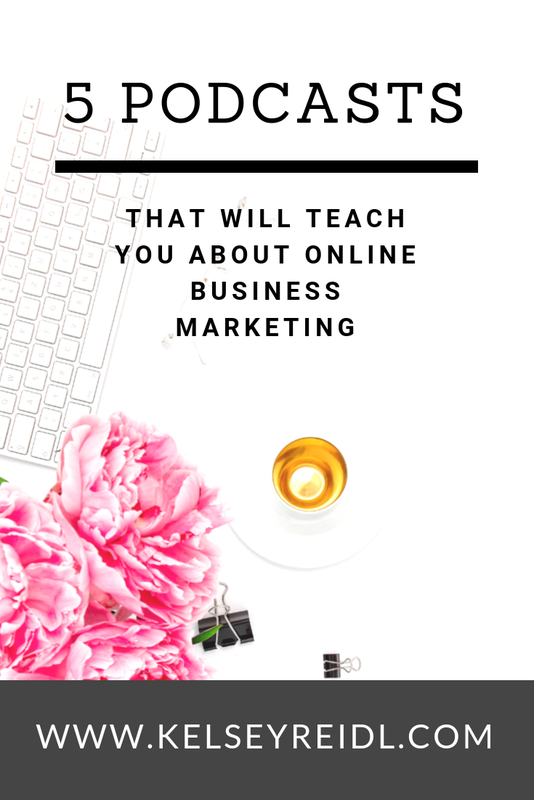 I especially love the episodes when she picks an online marketing topic like building an e-mail list or using Pinterst to get more leads, and then shares 20 minutes of super useful content! I suggest having a notepad on hand as you listen, so you can write down action items and put her tips to work right away in your business. Pat Flynn is the original passive income guru! If you're looking to take your business to the next level by implementing a product or service that provides you with residual/passive income (everyone should be raising their hand right now! ), then cruise through some episodes of his podcast. One of my business mentors is Ange Peters, a 7 figure income earner in doTERRA Essential Oils (I've been a leader with doTERRA for 2+ years now). I love her real approach to network marketing, creating a personal brand, and supporting tens of thousands of customers in an experiential way. Oh, Marie! She's had my heart since the beginning of my entrepreneurial journey... and although I prefer to watch her interviews on YouTube (she records in-person) she also posts them as podcasts! I gathered SO much insight from her take on copy writing and building effective websites. Enjoy! Visionary Life is the podcast that I host & upload on a weekly basis. Each week, I bring you a guest that is a visionary entrepreneur. All episodes are recorded in-person, and we usually dive into topics around peak health, living in an inspired state everyday, and all things entrepreneurship.